Prepare to welcome motorcycle enthusiasts from around the world to Phuket “Pearl of the Andaman” for “THE PHUKET BIKE WEEK 2019” – celebrating 25thyears under the concept of “World Ride Together”12-20 April 2019. 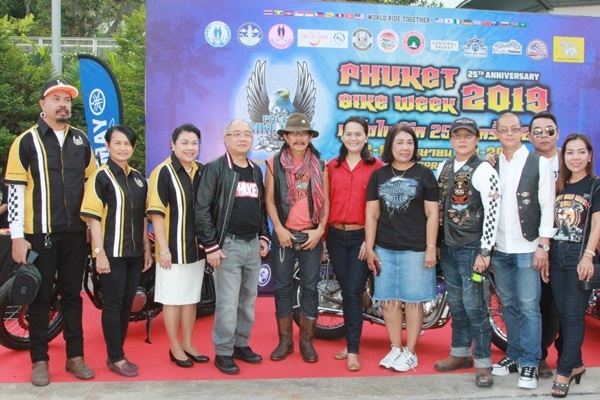 PHUKET BIKE WEEK 2019will be held on 12-14 April 2019 at Loma Park in Patong and 19-20 April 2019 at Phuket Boat Lagoon, Thepkasattri Road, Muang, Phuket.The event for big bike riders enjoy, bringing International Tourism and passingthrough Patong beach old town with events to satisfy thousands of people on two wheels such as shows, Motorcycle Exhibition, Classic motorcycles and Classic American car, Custombike contest, Impressive New motorcyclesby leading motorcycle companies, Miss phuketpike weekcontest, and to Promote Safe riding. 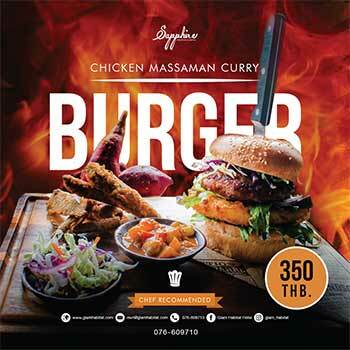 The events also promotes Reduction in Global Warming, Concerts by artists from abroad and leading artists in Thailand such as Carabao band, Pong Hinlekfaiand Wings Rock band from Malaysia,and motorcycle accessories&apparel venders. This event is to promote and support tourism in Phuket as a tourist center both for land and marine tourism, as a world classdestination and promote the social culture of Thailand.The event is well known by tourists and supported by Phuket Province, Phuket Bike Week Association, Tourism Authority of Thailand, Phuket Provincial Administration Organization, Patong Municipality, Phuket Boat Lagoon,American car Club Southern Thailand, Singha Corporation andRide Thailand Team and many clubs who love riding big bike.Expected to have an attendance of motorcycle rider (BIKERS) both from Thailand and foreigners from around the world, estimated numbers being more than 5,000 vehicles and more than 50,000 participants with projected revenue into Phuket of at least 500,000,000 baht. In this regard, the operator of the project Phuket Bike Week 2019, would like to promote this event as a big event in the world and attracting more tourists to visit Thailand.